Orange introduced a wholesale LTE Signalling service that will allow mobile operators to provide their customers with a 4G roaming service. The LTE Signalling is delivered through direct connectivity and peering agreements. LTE Signalling is one of the à la carte services available through Orange’s Multiservice IP eXchange solution which provides a high-level of security and quality of service. 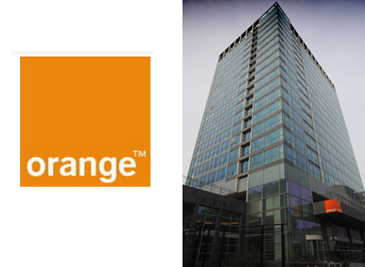 Orange’s IPX network offers a large footprint that comprises 30 points of presence (PoPs) worldwide. It guarantees a packet-loss ratio of less than 0.05% and jitter inferior to 5ms. LTE Signalling, based on the "Diameter” signalling protocol, is built on dedicated platforms integrated in Orange’s cutting-edge IPX network and provides additional security, interoperability and enhanced routing functions. Orange confirmed that it has already set-up interconnection agreements with the other major carriers. “Orange has developed LTE Signalling for operators to allow them to build a high-quality 4G roaming service that is fully compliant with GSMA guidelines. The Group’s Open Connectivity policy and extensive peering agreements allow us to provide wholesale clients with the opportunity to benefit from a large coverage. LTE Signalling is a must-have service that offers both differentiation and the ability to generate additional revenues in an increasingly evolutive market,” says Alexandre Pébereau, EVP International Carriers, Orange. HP introduced a management tool for the HP BladeSystem, HP ProLiant Generation 8 (Gen8) and HP ProLiant Generation 7 servers. 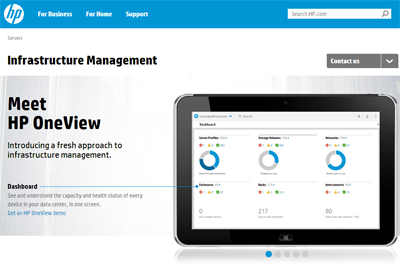 HP OneView provides an intuitive user interface and automated intelligence for common data center processes, such as deployment, updating, migrating and troubleshooting. The company said its tool makes it possible to migrate workloads up to five times faster than with manual operations. Equinix opened a second International Business Exchange (IBX) data center in Rio de Janeiro under its subsidiary, ALOG Data Centers of Brazil S.A.
RJ2 its a Tier III data center with a current capacity for 320 cabinets. Equinix plans to invest an additional $36 million in the next two phases of construction, which will increase capacity to 1,170 cabinets. Equinix noted that over the last four years it has lined up all the major subsea cable operators including Level 3 and Telefonica, and telecommunications companies serving Brazil. Now these customers are poised to deliver a seamless stream of global data traffic in and out of the country. NTT Electronics (NEL) and and Acacia Communications have successfully established an interoperability mode of operation between their next-generation Coherent Digital Signal Processing ASIC's. "Carriers and service providers require cost-effective pluggable transceivers even beyond the Ethernet reach (~30km) where de-facto 10GBASE-ZR is being used today," said Haruhiko Ichino, NEL Vice President and General Manager of Electronics Device & Systems. "The similar interoperability mode of operation at 100Gbps by using the established modulation format DP-QPSK and the standard Forward Error Correction GFEC, is indispensable for emerging digital coherent technologies to penetrate new markets including shorter-reach pluggable applications." "The successful interoperability of the two market-leading Coherent Digital Signal Processing ASIC's provides optimal flexibility to service providers as they expand their networks," said Acacia Co-Founder and Director of DSP & Optics, Christian Rasmussen. "NEL and Acacia have both independently established significant market momentum in the fast-growing long-haul coherent 100G market. Service providers and equipment suppliers have encouraged Acacia and NEL to work in closer collaboration to drive standards and increase the level of interoperability. Acacia is delighted to have worked with NEL to collaborate in this groundbreaking effort to meet customers' 100G product expectations." Violin Memory raised $162 million in an initial public offering (IPO) of 18 million shares priced at $9 on Friday. Trading of VMEM on the NYSE closed at $7.02, down 22% for the day. 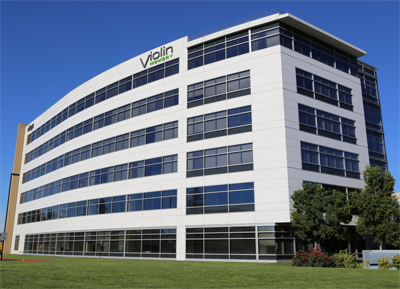 Violin Memory, which was founded in 2005 and is based in Santa Clara, California, specializes in flash memory arrays for enterprise data centers. Earlier this month, Violin Memory released a Memory Services software suite for acceleration, tiering, migration and protection of application data in the enterprise data center. Bouygues Telecom is using the fring Over the Top (OTT) service to provide Bouygues customers with free phone calls and SMS on Wi-Fi while abroad. Earlier this month, GENBAND announced its acquisition of fring’s Over-the-Top (OTT) mobile IP communications service for consumers. Financial terms were not disclosed. not disclosed. The fring app, which is available for both iOS and Android, provides free mobile group video chat, 2-way video chat, voice-only calls and text chat over IP. GENBAND will offer a white label version that will let service providers and mobile virtual network operators (MVNOs) compete with OTT solutions. 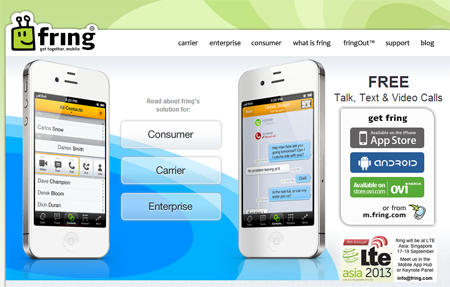 fring reduces roaming costs for subscribers by moving voice and video sessions away from radio access networks and routing them over the Internet. 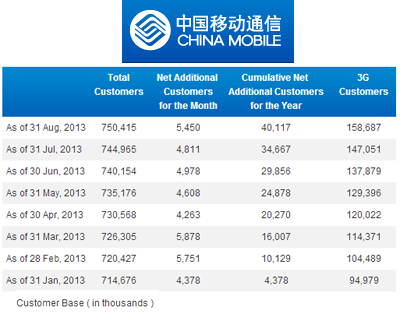 China Mobile added over 5 million customers in August, bringing it total base to over 750 million accesses for this first time. AT&T appointed Beth Mooney to its board of directors. Mooney is chairman and chief executive officer of KeyCorp. She will serve on the Corporate Development and Finance Committee of AT&T’s board of directors. She joined KeyCorp in 2006 as vice chairman and head of Key Community Bank and served as president, chief operating officer and executive director from 2010 to 2011. KeyCorp is one of the 30 largest U.S. banks, based on assets.